We commenced operations in 1982. At this time it was a one-vet operation and Knox City was nothing like it is now. Over the years the clinic has grown considerably and now we have 4 vets and 7 nurses on staff. The Clinic sees all manner of pets including all breeds of dogs, cats, birds and rabbits. Rats, mice, guinea pigs and ferrets. Even a miniature pig. 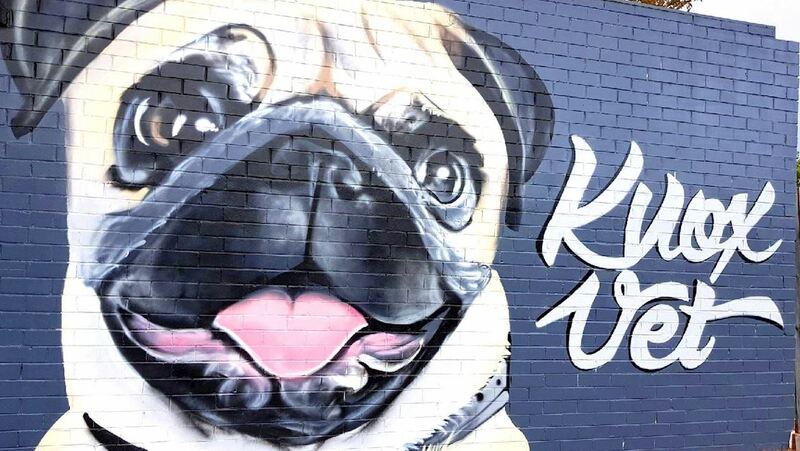 All the staff at Knox Vet Clinic are dedicated animal lovers and carers. We are all pet owners ourselves and this shows through in the way we look after all our patients. It is why our clients keep coming back to us and why we welcome new clients every week. We will always try to offer our caring pet owners a number of options when treatment is required. We are able to provide a complete veterinary service in most situations meaning diagnostics and treatment can be attained without having to go to different facilities. We have radiology, ultrasound, dental and surgery suites to cover most problems. In the event we need to seek specialist opinions we have the facility to utilise mobile specialists as well as referral to specialist hospitals. The Clinic is open 7 days a week from 8 am to 8 pm Monday to Friday, 8 am to 3 pm on Saturday, and 10 am to 12 noon on Sunday and Public holidays. We are closed on Christmas Day and Good Friday. Contact us for friendly advice and professional pet health care by phone, email or drop in to our Practice. We’re open 7 days a week please call to make an appointment.